Major League Baseball is just around the corner, I can almost smell the roasted peanuts. When it comes to sports my favorite thing is the team colors and putting outfits together to watch the games. I am not a huge sports gal, Was never really into sports growing up playing wise but I've always enjoyed sitting down with a good snack to support a local team or my beloved Red Devils. Last year I lucky enough to attended a Manchester United Football match and half the fun was putting together what I'd wear to show my team pride. What is more American than a good ol' fashion ball game? 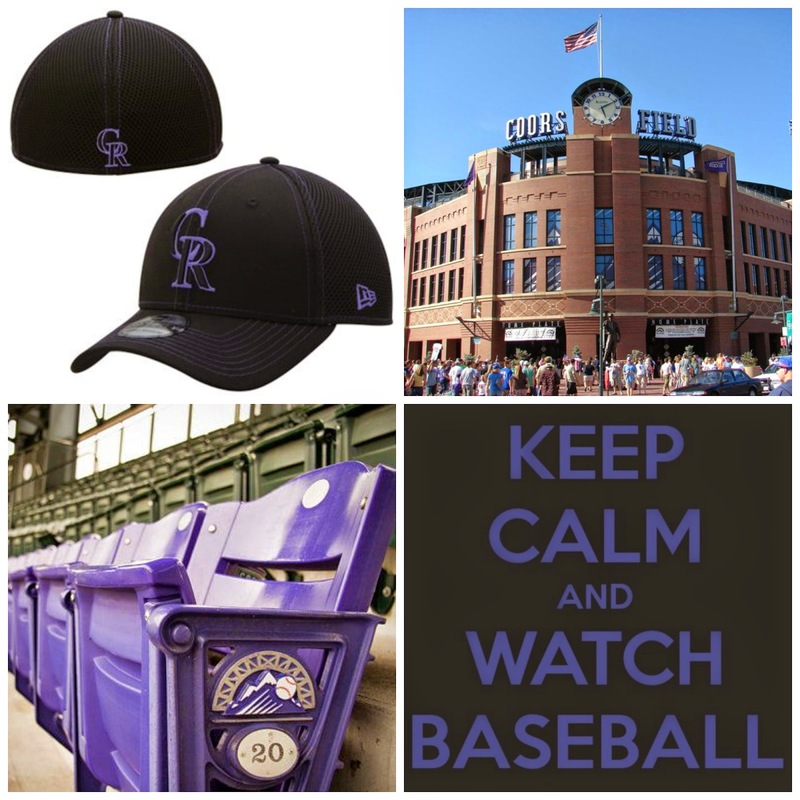 The Colorado Rockies are my ball team. I was born and raised in Colorado so there can't be any other team I would root for. Plus who doesn't love Purple?! If your either planning on attending an MLB game this your or if the plan is to watch at home. This outfit will work for you either way. When it comes to style & sports I like to be cute but comfortable. Ladies there is no need to wear heels to the ball park. You will have a much nicer time without them. Make it simple. Don't worry to much about what you are wearing, wear something that is comfortable and that you wouldn't mind having beer spilled on by a rowdy fan or ball park food by yourself. What MLB team will you be supporting this year?